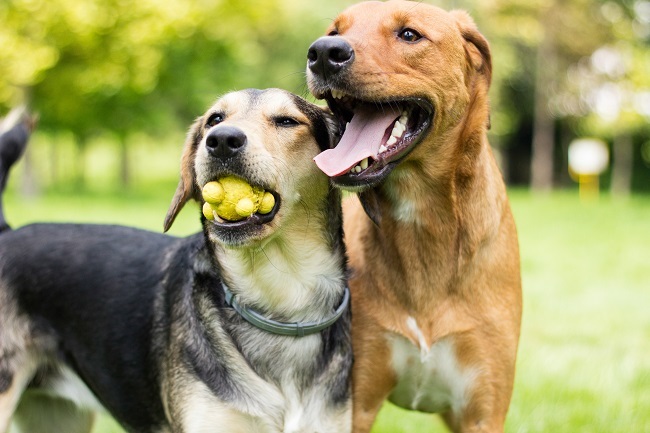 Have you ever considered doggie daycare for your fur baby? If so, you’ve probably also had some common questions floating around in your mind… Finding the very best doggie daycare doesn’t have to be hard. Will my dog enjoy it? Will other dogs pick on my dog? Will my dog get along with the people there? It’s not uncommon to have these questions, and probably a lot more as well. Especially if you’ve never used a doggie daycare. The truth of the matter is, there are definitely pros and cons associated with the experience. For instance, leaving your dog in a doggie daycare can definitely help them with much needed social skills. On the other hand, they might not get along with all the dogs, and dog fights can certainly occur. Doggie daycare makes a lot more sense than leaving your pet alone or with someone who doesn’t know much about dogs. Then again, doggie daycare spaces can often be a place where your pup could pick up fleas, ticks, worms or kennel cough. If you’re careful, and know what to look for, choosing to leave your dog in a doggie daycare can be a great experience for both you and your dog. You’ll be able to go on extended-stay outings, knowing your dog is being well cared for. And while you’re gone, your dog can get to make new dog friends. Just be very thorough when selecting who you allow to care for your dog. Make sure to ask questions about the facility, the workers, and whether or not shots are necessary for the pets that stay there. This simple step can mean the difference between finding a daycare you love, and a bad experience. It’s also a good idea to check out online testimonials. This can help determine who is the best fit for you and your pet. For more information about the Doggie Daycare services we provide, please feel free to contact us at your convenience.